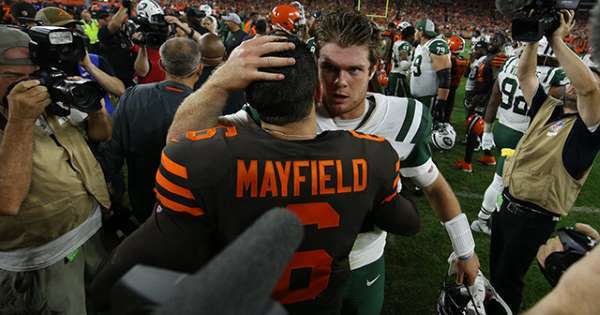 After a great Thursday Night Football game between the New York Jets and Cleveland Browns it’s time to look at the aftermath. What did the win mean for the Browns and rookie Baker Mayfield? What happened to the Jets who couldn’t capitalize on a 14-0 lead? All this and more on this episode of the podcasting including why fans shouldn’t be crushing Sam Darnold after last night and why he still has a bright future with the Jets.